We all know that online shopping saves us a lot - time, energy and even money as most online shops ships for free to our doorsteps. But do you know that with Groupon coupons you can get further savings than the usual? Not just 10, 20 or 30 percent discount but up to 85 percent! That is so unbelievable! ASOS which sells over 850 brands as well as its own range of clothing and accessories, offers up to 60% off on women's shoes. NASHBAR, seller of the best cycling gear at the best prices is giving 70% off on selected products. Among those thousands of shops to choose from, eBay is the one I visit very often for discounts and promos. It has the most and the best of the things I'd like to buy online. 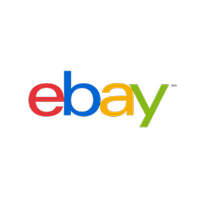 Today, eBay has 318 coupons available which will definitely give the customers a great shopping experience. Visit Groupon now to avail of these great deals. Remember, Christmas is now around the corners and it is now time to start shopping for presents. Choose from the thousands of coupons and save big for the gifts you want to give for your loved ones this Yuletide season.